My family has been enjoying using Hempkin oil in salad dressings, smoothies, and other dishes. I've been taking Liver Restore steadily over the past few years. It agrees with me. I have felt better since I have been taking it. The Liver Restore has been really helping to control my Hepatitis C.
The Bee Pollen is really awesome! My family members use Liver Restore and Vita Power and I am using Flex-Connect and MSM-Acerola for my knee problems. Energy Enzyme Blend is a favorite product of mine. It helps me a lot. I like to keep a good stock of it. I use the Turmeric Gold every morning instead of drinking coffee. It gets me going like coffee does. I like the Triphala fluid extract. I like the liquid form of Triphala. It is very pleasant. I have found that the Macro-Night has helped me relax and has helped me have an easier time falling asleep. Using Macro-Night helps my leg cramps. I really like using the MSM/Acerola and Energy Enzyme Blend products. These mainstays of supplements clear up inflammation and congestion in the body. I really like the new MSM/Acerola formulation. 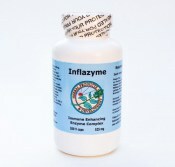 I am using it with Inflazyme and it really helps! The Turmeric Gold works great in drinks! The Mushroom Power Supreme sells out very quickly in our store. I eat Bee Pollen every day and am loving this latest batch! My store sells a lot of Liver Restore and Global Male. 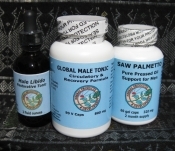 I am really liking the combination of Saw Palmetto and Global Male. It seems like a solid program for prostate issues and libido. I really like these formulas. I love the Essence of Sea Plants. It is an inexpensive way to get minerals. I use the Energy Enzyme blend powder by putting it in hot water with some lemon and a little Krystal salt. It is really cleansing and it makes me feel great! Your products make my life so much better! I’ve been using the supplements that Paul Gaylon from Herbal Products and Development suggested to me because my hip joint has been in terrible pain. My doctor and physical therapist refer to it as hip degeneration and arthritis, bursitis and tendinitis. There is little collagen and cartilage. They have now suggested that I see a specialist for hip replacement. For the past few months, when I get out of bed in the morning, I have not been able to put any weight on my right leg. My leg buckled under my weight and I’ve had to reach out to the wall just to hold me up. There have been times when I am limping around my house in the morning from the bedroom to the bathroom to the kitchen and going for a cane. The pain has been unbearable and brought me to tears. I told Paul Gaylon all of this and he started pulling out a whole group of supplements for me to take 3 times a day. I’ve been taking them for 1 1/2 weeks now. After 4 days of taking these supplements, I noticed that I could stand up out of bed and not lean against the wall, and I didn’t feel the intense pain. I decided to give it another week before I let Paul know. Now, 1-1/2 weeks later, this trend has continued and I am thrilled. I am walking the dog easily and my pain level has gone down to about 3 from the previous 7–9. Looking forward to this miracle continuing towards having a pain level of 1 or 0. I feel like I can walk almost regularly again and I am so grateful for Paul’s superb knowledge and skill in creating these products. I will be continuing them for a long time to come and look forward to the new x-ray in 1-1/2 months when I visit the hip surgeon. The cane is put away! Thank you, thank you, thank you, Paul! Note from Herbal Products & Development: The products that Michelle has been using are: Serrapeptase, Flex-Connect Plus, and MSM w/ Acerola, all capsuled products. I really like the Turmeric Gold. I have given some to people as gifts and they really like it as well! I really love the Turmeric Gold liquid extract! Vita Power has everything that I need! I am buying a jar of Supreme Cream for myself and another for a friend as a holiday gift. I really like the Turmeric Gold. I am giving them as gifts over the holidays! The Turmeric Gold fluid extract is working out really well for me. I have run out of Power Plus enzymes for 2 weeks and I have really noticed the difference. I enjoy using Stevia Supreme in my coffee and tea. I use about 3 or 4 drops. I bring it to restaurants with me! The Flex-Connect and MSM/Acerola is working well for me. The Supremely Green makes me feel so much better. The nutrients help so much. I will be glad when my order arrives. The Turmeric Gold fluid extract has been great in the early morning. It helps keep my mind sharp. I have been recommending it to others and have used a few bottles already. It keeps me alert and provides me with a sense of well-being. The Wrinkle Release has been really helpful with removing fine lines and for a general purpose moisturizer. I use Skin Restore and love the way it works. It has been a favorite of mine for many years. I also have been using the MSM capsules for quite a while. Global Male has improved my testosterone levels and my endurance. I feel that it is especially helpful for older people. I use two capsules per day. I can count on it! Enzymes have made a big difference for me. I will continue to use them. The Serrapeptase really helped me a lot. I also really like the Vita Power. I love Supremely Green. I get a lot of value out of it. I also appreciate the pleasant taste of the Stevia Supreme. The Male Libido is one of my favorite products. I also love the Supremely Green. The Energy Enzyme Blend worked right away for me! The Triphala fluid extract which my friend recommended works really well for me. I noticed the results right away! I really like the OxyMin Sparkle. I can see that it's working and I am noticing the results. The Brain Drops are very good for brain support. Vita Power is a great formula. The Supremely Green works wonders! The Adrenal & Kidney Tonic formula has helped me a lot! I like the Liver Restore very much! I love your products! The Liver Restore helps so much! I love the Supreme Cream. My five daughters like and use it as well. The Skin Pro is very helpful for burns. My family loves the Adrenal & Kidney Tonic! I have been taking 2 Inflazyme capsules twice a day along with some fresh turmeric. My pain and arthritis feel much better and it is something that I have been dealing with for a few years. My whole family enjoys your products. I send the Liver Restore and Macro-Night to my aunt and her son. The Adrenal & Kidney Tonic really helps my hyperactivity. I love the Goji Berries, Spirulina, and the Brain Drops. I use the Bella Dulce in everything, even with Kahlua. It goes with everything. I use Skin Restore every day! I love it! 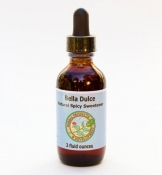 I like the "liquid Chai" feeling and taste of the Bella Dulce fluid extract. I really love your products. I have been using Serrapeptase, Liver Restore, Hempkin Oil, Adrenal & Kidney Tonic, and Supremely Green. The products are helping me improve my outlook and mood. I bought two bottles of Liver Restore. I don't want to run out! We have been enjoying all of the skin care products that we tried. They are very hydrating. My client stopped taking Colostrum and her heartburn returned. Another client has been feeling much better and is doing well since she has been taking Royal Jelly. The Barley and Alfalfa grass juice extracts are powerhouses in a glass! The Serrapeptase capsules are helping the swelling and inflammation in my leg. —I love the Supreme Cream! Since I've been taking Mushroom Power Supreme, I have felt a big difference in my energy levels. I can now cruise right through the mid-afternoon! My tooth infection is also healing up. Mushroom Power Supreme is what I needed! I took a few capsules of the Energy Enzyme Blend. It helped my heartburn and I felt better! I've been loving the Triphala and Green Papaya for my digestion. I shared the Mushroom Power Supreme that I ordered with friends. It got rave reviews. I have sensitive skin. Your skin care products really work. They don't irritate my skin. The Stress Relief has been really helpful. My body and I have been feeling more relaxed. The Blue Lotus (2 ounce fluid extract; call us to order!) is wonderful! It enhances my dreams! I love the Supreme Cream. I bought three jars because I don't want to run out! Serrapeptase has been really useful for my back. The MSM-C and the Power Plus Enzymes are helping my general health. Thanks for the Power Plus and Inflayzme. They are really helping me. I really like using the Supremely Green and the Macro-Night! Supreme Cream is the best skin care product I have ever used. My face feels really smooth after shaving. It absorbs well and is easy to apply. I am giving Supreme Cream as gifts to family and friends! I am really liking the Vita Power! I am pleased about and grateful for how well the Liver Restore works. I use one tablespoon of Colostrum after working out as a recovery formula. It works very well! I will be a customer for life! I love to have my Supremely Green every day! Thank you for carrying such effective products! I am addicted to the taste of Supremely Green. I buy several pounds at once. Gluco Low Balance is a really good product. My client's sugar numbers are looking much better! The Vita Power and Gluco Low Balance combination also helped with my client's pain. I love the Supremely Green! I will be buying 5 pounds of this. The Supremely Green is working very well for me. I am a foot-knee patient, and I have seen great improvements since I have been using Flex-Connect and MSM-Vitamin C.
My patients who have been using Flex-Connect and MSM-Vitamin C have seen a decrease in their pain levels. My people really love the Oxy-Oxc and the Energy Enzyme Blend. I have been taking Liver Restore, Adrenal & Kidney Tonic, and Zymies Detox for 3 weeks now. I am very thrilled with my new energy levels and deeper level of rest/sleep. I was so taken by your unique formulations. I think your products are excellent! I found the Colostrum to be good and clean. I have been taking 1/4 tsp of the Mushroom Power Supreme powder twice a day in water. It feels really good and like a calm, steady energy. I have had very good success with the Energy Enzyme Blend and the OxyMin Sparkle. I really like your products. They are effective and do what they say they will do. I have tried many extracts over the years. I have not gotten as good results as I have with Herbal Product & Development's fluid extracts. My mother and I have both been using the Supreme Cream for quite a while and we both really like it! I feel good when I take Energy Enzyme Blend! The Serrapeptase has really helped with one of my client's blood clotting issues. I use your products all the time. I enjoy buying my staples—Adrenal & Kidney tonic, Berry Berry Good, Supremely Green, Maca, and Goji berries! I really like the combination of Macro Night and Vita Power. Our whole family uses the Barley Grass Juice Extract. Liver Restore has changed my life for the better. The Flex-Connect has been very helpful. I order four at a time. I love your skin care products." I love your products, especially the Liver Restore. It is an excellent formula. The Skin Pro really works for me. It restores my skin and helps my skin retain moisture. I take Macro-Night religiously when my muscles have been worked out! Or if I am at all restless, Macro-Night is very calming and helps me sleep soundly. Macro-Night is really effective. My symptoms have gone away. Hempkin Oil used with other oils helped my dry skin. I have seen a nice improvement including less discoloration, cracking, and redness. The OxyMin Sparkle is really good. It's refreshing to know that it really works. I love the OxyMin Sparkle! I use OxyMin Sparkle everyday. We really love your products. Liver Restore is my buddy especially in the springtime. I went through radiation and this product helped my detoxification process. Still is a favorite for my overall health! Vita Power is a great product! It is complete without too much. It is balanced just right! I have been using Friendly Colonizer for many years, and I have a friend who uses it as well. I use two Adrenal & Kidney Support Tonic capsules two times a day. It helps me feel my best! I also really like the Berry Berry Good! My brother had good results with the Energy Enzyme Blend and his colon health is improving! My friends and I have been enjoying the Barley Grass Juice Extract. I love that Barley Grass Juice Extract! I love the OxyMin Sparkle. it is refreshing and a very good addition to my water. I have been using Stress Relief for a few years now and I really like it. I bought and used the MSM-Vitamin C capsules and I really like it. I love your products. I am a cancer survivor and have gotten great results with your products! I also really like the OxyMin Sparkle. I like to use the Kidney Aid every day. I think the Macro Night is a wonderful product! It has given me tremendous relief! It has really helped with my restless leg syndrome. My mother suffers from osteoporosis and began taking over the counter calcium supplements which made her constipated. Per my suggestion, she is now taking Macro Night and is much happier! She doesn't suffer from constipation anymore. Global Male before workouts is awesome! Adrenal & Kidney Support Tonic formula is a great product! Very healing! Since using Supreme Cream, the dark spots on my face have vanished. Even the puffiness under my eyes is going down. I am so happy with Supreme Cream! Thank you for creating this wonderful product! I had a rare yeast infection. I found your refrigerated Friendly Colonizer probiotics at my health food store. I took one teaspoon per day with orange juice. It cured my yeast infection! If I could take only one supplement it would be Liver Restore. I want it to be around forever. I definitely feel the difference in my joints since using Flex Connect and MSM-Vitamin C.
I use Hempkin Oil for everything! I love it! It is excellent! I always have had terrible year-round allergies. I took all kinds of pharmaceuticals until none of them worked. Paul's Bee Propolis worked exceptionally well, both the fluid extract and the paste. My allergy attacks were diminished in 45 minutes. I swear by Bee Propolis. I always look forward to delivering packages to your address so that I can get some of your wonderful chocolates! Friendly Colonizer is a superior and lovely blend. No diarrhea or any discomfort. I've been using it on my cat and dog as well. I recently took antibiotics and the Friendly Colonizer helped greatly. I eat a Hemp Coco Maca chocolate at 4 PM (instead of afternoon tea!) to get an energy boost at work. It keeps me going until dinner. Energy Enzyme Blend really helps digestive stress. The Adrenal & Kidney Support Tonic makes a big difference. It is relaxing and helps improves sleep time. I've been recommending it to my customers. The Echinacea custom extract which was made for me has immediately helped me with my infection. I love the Bee Pollen. It's the best! I have been using Supreme Cream on itchy spots. It has provided skin relief. Power Plus Enzymes is really helping me a lot. The Supremely Green has been a great help. Most recently I've been able to get my husband to drink his greens and it's been a tremendous help in stabilizing his digestive tract. He's been way overloaded with antibiotics last year and is still on the mend, but his "green drink" every morning has been such a staple. He now believes in it and won't miss a day without out!!!! Macro Night is the most extraordinary calcium–magnesium blend. I am a healthcare practitioner and I really love your products, including Zymies Detox which I have just tried. Since I have been using the Macro-Night and Energy Enzyme Blend, my hair has been thicker, my nail strength has improved, and my bones feel good. I have been using these products for years. I ran out of Liver Restore and I could feel the difference; my liver started hurting again. The Supremely Green really helped out during football season. It gave me energy and helped me stay in my game. We have the Hemp Coco Maca at 4:00 PM on a big work day. It provides the little extra lift we need. The Macro Night has helped my wife and me sleep really well! I love your Adrenal & Kidney Support Tonic! The Liver Restore formula works great and makes a lot of sense. It has the best ingredients! The Energy Enzyme Blend has changed my life. My mother really relies on the Supreme Cream. The Macro Night helps me sleeper better and makes me feel stronger. I love the Bee Propolis. It is great for colds and sinus conditions. I can't keep it in my store. The Male Libido is strong and I've had very good results with it. I am not really a chocolate person but I love your chocolates. My body loves the Adrenal & Kidney Support Tonic! The OxyMin Sparkle is so refreshing and it makes my water taste so good! The Power Plus is wonderful; I love it! Stress Relief formula! It's calming to the nerves and it's uplifts my mood. Thank you for this product! The Global Male formula works so well I keep coming back to buy more. I really like the Adrenal & Kidney Support. Tonic and I don't want to ever run out of it I take two capsules in the morning when I wake up and two in the afternoon. I can feel the Hemp Coco Maca nutrients throughout my whole body. I am recommending it to all of my customers. My family really likes the Hemp Coco Maca chocolates. It is low in sugar and it makes me feel better all over when I eat it. My husband likes to eat the nutrient chocolates like Hemp Coco Maca because they don't give him a headache like other chocolates do. I use the Hempkin Oil on salads, raw tomatoes, and as a topping. I love it! It really adds a nice taste to what I eat. I have been feeling calmer while getting an energy boost from the Adrenal & Kidney Tonic. My wife is happy that I have Global Male to use! Global Male is very important for my health regime. I rely on this product. Microblast is a little bitter but it works fast and is very effective. I had a miraculous recovery from a cold thanks to Microblast. I really like the Mushroom Longevity and the way it's put together. I use the Supremely Green every day. It helps me get through the day. I am a naturopath and I love the Zymies Detox formulation. I really like the new Adrenal & Kidney Support Tonic formula. I think it is superb. I tried every digestive enzyme on the planet. Power Plus works great. I really feel the difference with Liver Restore and Bee Propolis. I love the Mushroom Longevity with coconut oil, lemon, and eggs. It is one of my favorite ways to use this product. I love so many of your products. I like the way they are composed. I ordered the Gluco Low Balance (Blood Sugar Modulator). It is amazing! In the morning I make a big drink with 1/4-1/2 teaspoon of the powder mixed in and drink it throughout the day. I sometimes make a second later before dinner. I am finding I leave half the food of my typical portion size, often forget about a whole meal and do not feel hungry. I am digesting beautifully and it feels like the build up of fat on my body surface is melting away. I wanted you to know how effective this Gluco Low was for me. The Energy Enzyme Blend is really helping my digestion and related problems. I noticed a difference in just a few days. The Serrapeptase formula has really helped with my sports injury. My inflamation has decreased and the healing process has improved considerably . The Berry Berry Good is having a beneficial effect on my health. The Skin Pro Aloe based gel is amazing! It really helped my psoriasis immediately! I have not found any other products (outside of RX Steroids) that has worked this well. Using the Flex Connect and the MSM-Vitamin C capsules really improved my knee joints when they acted up. I really like Supremely Green. You can feel the energy in the blend. tried a different brand of green foods blend and it was definitely inferior. I love the nutty taste of the Hempkin oil. I love the Supreme Cream with vitamins A, C, and E. I've convinced my whole family to use it. My daughter's surgeon said that the healing of her scar was the best he has ever seen and I credit Supreme Cream for that. The Popolive oil tastes great and is a very high quality oil. I love the Rice Tocotrienols and the Energy Enzyme Blend! It's so good, refreshing, and delicious! I love your products, especially the Inflazyme! I love the Liver Aid! -Eduardo G, Santa Cruz, Ca. After dealing with multiple health issues for 30 years, I have never felt the endurance and energy like I have after takng my first scoop of Energy Enzyme Blend. I was able to walk triple the distance that I usually walk. I notice that I feel better or calmer when I take Mushroom Longevity. I like it. It helps me when I experience stressful circumstances. I am always on my feet walking. Macro-Night helps me relax and gets rid of my wound-up feelings. I get cramps and pains when I miss taking it. The Supremely Green is really good. I never want to run out of it! The Propolis worked well during a period of sickness. Great Propolis tincture! I took it throughout the evening when a cold was coming full on, and in the morning the cold was gone. I love the Brain Drops! I love the Chocolates! You've got a lifetime customer! The Women's Formula helps with balancing my hormones and has helped with my hot flashes. I have been using Macro-Night now for the past 6 months, and I can not be more relieved to not be tossing and turning through the night.The results have improved my daytime mood and energy level. Very happy to know that Macro-Night also supports the integrity of my bones and muscles while I sleep soundly. I tried every enzyme formula on the planet and nothing worked except for Power Plus. I used to be chronically sick at least 3 times a month. Since taking Mushroom Longevity combined with 7 Roots & Barks (call to order; not on the website), I have not gotten sick once. I swear by their tinctures. The Power Plus Enzymes are the best enzymes I have ever used. I have been out of Inflazyme and I can feel the difference. Vita Power is the most perfect vitamin formulation for the human body. Liver Restore is the most essential supplement that I use. If I could only take one supplement, this would be it. I love your chocolates! They feel nourishing. No other chocolates compare to them. I love Skin Pro. It makes great aftershave. It's one of my favorite products. I love Body Electric. I can feel the difference. Hemp Coco Maca is my favorite chocolate! I've tried all kinds of enzyme products and Power Plus enzymes and Friendly Colonizer are the products that I use. Your Power Plus enzymes are the best I've ever had. At the first sign of a cold I tried Sierra Pacific and felt better quickly. 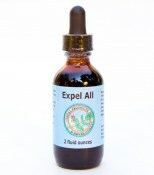 Expel All helped increase my energy in about 3 days. Mushroom Power is great! I have more energy since I've been taking it. I put a little Macro Night in a shot glass and an hour later I'm asleep. Thanks for the Gluco Low. It has really helped me to manage my blood sugar levels and provided more stability. I've been using Flex-Connect for the arthritis in my hands and it really works! It helps with the pain and works like a champ. I feel worse if I don't use it. I've been using Energy Enzyme Blend for my digestive system and I've noticed quite a shift. The Second Press Hemp Seed Oil that you sent me is excellent for lubricating bicycle chains. I used it on both my bikes and they are running more smoothly and quietly than ever. I also used the oil to degrease my bicycle frame and it worked quite well. I think there is huge potential for hemp oil in the bicycle industry. Liver Aid has been helpful for irritation that I felt were liver related. I am feeling better these days with less pain there. I love your products! Skin Pro is especially helpful in the tropics. Anti-bacterial wound helper stopped my bleeding immediately. My nerve tingling went away. I have never seen another formula like it. Your MSM-C turned my whole allergy situation around after a month of problems. Thank you for your help including your help with the diet information you gave me. Your MSM-C is a product of great quality. The Vitamin C helps and we can distinguish it from other MSM products we took. I love your products. I tell all my friends to buy them. Dr. Linda Rector Page has recommended your products in her monthly newsletter, The Natural Healing Report", and/or her best-selling book "Healthy Healing" (500,000 copies sold). Dr. Page is careful to be objective and is not financially involved with any company whose products she recommends. She only recommends those products which she feels are the most effective for the specific ailment or problem she is discussing. When you're up the river and short on rations, you can really appreciate plant food! I've lived off of Supremely Green for days and I can tell you that plant food is real food! Don't leave home without it! I was introduced to Herbal Products in November 2012 while at a Road Scholar retreat at Land of Medicine Buddha in Soquel, California. Paul Gaylon, Founder and President of Herbal Products and Development, came to speak at one of our evening lectures where he introduced our group to a variety of his products and formulations. Two products that I like in particular are Supremely Green, a premium enzymatically-active green superfood and the Sierra-Pacific Immunity, a fluid extract designed to keep viruses at bay. I purchased these products while at the retreat and recently re-ordered these products, as well as some additional products that piqued my interest. On my most recent order, I also purchased Amazon Endurance, a fluid extract designed to energize and nurture both our physical organs and mental well-being. I use this on occasions when I feel like I need an additional "boost" and do feel that it creates a positive effect on my physical and mental well-being. I have also tried several of the natural skin products, Skin Restore, a fully body moisturizer, Skin Pro Serum Concentrate and Supreme Cream a Vita-Moisture Hydrator. I find all of these products to be beneficial to my aging skin that is in constant need of hydration and protection. I believe Paul and his company have an abundance of quality and specially formulated products. He strives to provide high quality products at a reasonable price in an effort to promote optimal health and well being. Thanks, Paul and Herbal Products. I will continue to use your products and recommend them to my friends and family. My dog had lipid protein (like a cataract) and now it's gone. I believe the Friendly Colonizer helped. Liver Restore is one of our best sellers. One of my favorite products is the Krystal Salts - both the granular and pellet salts. Macro Night is great for me. It helps me relax and sleep deeply. I wake up nice and calm. Vita Power makes me alert and ready to function, and it's good for my skin. It is nice and light; not too heavy. Supremely Green is an incredible product. I have been using it in training and recovery with wonderful results, and I have even been using it during workouts. The products have been highly consistent - certainly superior to what I find in the stores. Over the years, I’ve found them to be the highest quality available. A night and day difference! I’ve become quite an advocate of Vita Power after long-term use of my brand of 20 years. The Health Chocolates move well in our neighborhood of Hillsdale (Portland). Many customers buy 10 at a time! Herbal Product & Development’s research and unique formulas make up 80% of my personal products. In my 60 years with natural supplements, I find these products to be superior to others. Herbal Products has fair prices and they add a personal touch to their products. These products really support the body. I love the Chlorella,Macro-Night, and the Oxy-Oxc, which are all very helpful. The Chocolates give us a steady supply of customers. They do well here. Three years ago I went through interferon for Hep C. It did not take. I recently went into Stanford to check on the status of my Hep C. When my wife and I asked the doctor about milk thistle type products, he scoffed at the idea. I went ahead with a liver biopsy to check the status of my liver. I have been taking Liver Restore for the last four years. When I again saw the doctor for my results, the first thing he said was, “It’s nice to give someone good news once in a while”! My liver condition was good, and no other medical treatments are necessary at this time. I appreciate the great service, the integrity of the company, and the high quality products provided. The Hemp Oil was especially good and fresh. I’m impressed with the integrity of your company! I want to thank Herbal Products & Development for taking the time to talk to me about its product line, and my needs for herbal support. I was very impressed with your knowledge about herbs and how they might help rebuild and restore my liver and immune system. I have Hepatitis C and feel sick 3-4 days per week. Through my own efforts with diet and herbs I have lowered my liver enzymes to a normal level (from 8-12 times normal). I use Skin Pro Skin Serum Concentrate twice a day – it’s clean, fragrance-free aloe base hides an impressive ingredient list. My skin feels soothed and hydrated. Use it under a moisturizer or by itself. Being in the wine and food business we’re often obligated to attend industry functions, which feature very rich foods that are challenging to digest. Power Plus enzymes are my go-to solution to resolve any resulting problems. I swear by them. I love using Skin Pro on my face. It is nourishing and light, not oily or greasy, and it feels healing and soothing. It is a wonderful product, keeping my skin looking vibrant and youthful. Supremely Green sustains and boosts my training energy and improves my post-workout recovery. It is an integral part on my super-nutrition, pre-contest regimen. I heartily recommend Supremely Green for every athlete’s training program. As a filmmaker, I often work long nights, keeping late hours. Since taking Supremely Green, I’ve been effectively weaning myself off of caffeine. My energy level is stronger than ever. Wouldn’t live without it. Every time I drink Supremely Green my cells sing and my physical body rewards me through added strength and stamina. I love it. I’ve tried lots of “green foods” but this one actually tasted good! Supremely Green’s mineral-laden formula is great for arthritis and recovery from injury. It facilitates strong enzymatic development. Supremely Green is easily digested and quickly assimilated. I find Supremely Green so nutritionally satisfying that is has curbed my desire for sweets and left me with heightened stamina and energy. Thanks for the catalogue and information that you sent. I’m happy to recommend your probiotic “Friendly Colonizer”. I’ve used it successfully in treating “food poisoning” and as an important adjunct in the treatment of systemic Candida. It has also proven to be quite effective as a topical, when used with ayurvedic tikta ghee, for vaginal yeast infections. I order your Hemp Seed Oil by the gallon. Just as you said, it has a delicious nutty taste. I’m not hungry anymore. It keeps me slim and trim, and feeling good. Thank you very much for your contribution of a box of assorted herbal medicines. We appreciate that you have chosen our organization; you are helping a very worthy cause. For 20 years I’ve had a digestive problem and tried every method and supplement for help. Plant-based enzymes were the answer. Your product Power Plus is by far the most effective digestive aid I’ve found. Thank you so very much! The Chocolates do well here; they give us a steady stream of customers. Vita Power raised my energy level and increased my stamina. I took massive doses to help me thru an auto accident, stress, and injuries. It had none of the usual Vitamin C side effects. Everyone can benefit from this great product. Flex-Connect Plus. This stuff works great! I noticed a difference in about 3 days. Forget the clinical studies! -Ken C.
I’m very happy with the results my friend experienced using Vita Power. His blood pressure has dropped to normal, and his cholesterol is down to 164 (from 226) in just 2 months. I was introduced to Skin Pro by Herbal Products. As a result I’ve been a regular user of aloe now for about 3 years. My first realization of its affects was no foot pain after about 2 weeks of use. I had been suffering from intense foot pain for 15 years. The bottoms of my feet were covered with planter warts. I began taking the aloe using a very huge dose in cranberry juice, sometimes 4-8 tablespoons a day or more. In the beginning my system had a very harsh reaction—cramping and many trips to the bathroom. But I began to feel better after about 2 weeks. Then after about 6 weeks I suddenly realized it didn’t hurt to walk after 15 years of pain. So I checked my feet and nothing. No warts! It was great! I began to feel better all around. Thank you. Using Hemp Seed Oil as a dressing gave noticeable results of increased energy, alertness and mobility. I’ve been spreading the word! I bought some Skin Pro while visiting Northern California and it was amazing! I am a doctor from the Philippines, where my sister-in-law and I run a distribution center for food supplements. I am interested in and hoping to use your products with my patients, especially the OXY-OXC! The products from Herbal Products & Development are extraordinary! My doctors said my endocrine system was destroyed by the high fevers and complications I had with malaria. These products are “miraculously” rejuvenating my body and internal organs. Thank you so much. This past winter had me suffering terribly for a week with the flu. One night I remembered the Sierra-Pacific immune tincture, which my sister had gifted me for Christmas. At midnight I used only one dropper full and went to sleep. Upon awakening in the morning, I was absolutely amazed at how most of my symptoms were gone. It worked miraculously!! Now it is my first choice for immune support and defense for any time of the year, and whenever I travel afar. I engage in an intense four hour a day meditation practice, best done on an empty stomach. Supremely Green has a perfect combination of qualities that suit my practice: it is nutrient-dense and satisfying to the appetite, while simultaneously being a low calorie food that is very light on the stomach. I can go for long periods of time without feeling hungry, yet be energized while I focus on meditation, not digestion. It is also a good way to lose weight! Absolutely amazing supplements you can really feel working! My first experience with Herbal Products & Development’s products was at the suggestion of a co-worker at the Herb Room in Santa Cruz. I rarely injure myself, but had pulled a muscle in my leg and was hobbling around at work in a good deal of pain when someone mentioned Herbal Products’ Vital Minerals to me, saying they had had good results with it after a sports injury. I took some that night at a regular dosage. The next day I woke up, went to work, and got about half way thru my day before I realized that my leg no longer hurt, at all! It never hurt again after that either. I was absolutely amazed, and from that day on I have been a huge fan! I have recommended Herbal Products to hundreds of customers and received rave reviews from them as well. We have a large Capoeira community and many of them have sworn by it. Additionally, many people have reported that it helps them sleep better (it is designed to be taken before bed)! Macro-Night is the partner product to Vita Power, together they are a fantastic multi-vitamin/mineral supplement that I would recommend to anyone. Herbal Products’ Liver Restore is also fantastic. I am very impressed with Herbal Products’ formulas because great thought and consideration goes into each one. Also impressive are the countless clinical trials they have done, with fantastic results. Oh, and the chocolates? Delicious!! Great products for maintaining health. Herbal Products & Development’s formulations and superfoods are simple, effective, easy to take, and reasonably priced. I’m trying to get through RN school out here. I feel brainwashed sometimes, so I need your green machine power (Supremely Green)!! Thank you so much for doing what you do and being so awesome at it!!!! I stopped drinking hard alcohol and started using the Supremely Green supplement with a better diet and all my digestive disorders cleared up. I was diagnosed with Hepatitis C about 6 years ago. As an R.N., I understand how toxic the conventional treatments are, so I began taking Liver Restore and Vita-Power about 3 years ago. Within months, the fatigue and dull pain over my liver area subsided and I haven’t felt better in years. This stuff WORKS! Flex-Connect Plus has worked wonderfully for my joints for many years. At one point, when my fingers started aching again, I mentioned this to Herbal Products & Development. They suggested I try not eating nightshade vegetables, so I eliminated eggplant, bell peppers, and white potatoes (a fresh tomato now and then seems to be fine). I am once again pain free! Thank you so much for this lovely green food supplement, Supremely Green. It has really supported the recovery from low immunity, IBS, and skin problems. I really love Supremely Green. I’ve tried a few other superfood green products and I really prefer the flavor of Supremely Green by far…it’s delicious. I also love the fact that it is created with juice extracts, giving it a higher concentration of nutrients, which is important to me. I can really feel the difference when I use it. Energy Enzyme Blend is just the product I have been waiting for, for years. I have experienced phenomenal results for reduction of bloating and abdominal distress, resulting from IBS, parasitic, fungal, and bacterial infections, which I contracted in Africa. It is for me the component that enhances the other Central Coast Nutrition products that I use. Consistent use of these formulas is strengthening the matrix of my body in a “miraculous” way. Thank you so much. I have tried many probiotics over seven years. I am absolutely sold on Herbal Products & development’s Friendly Colonizer multi-strain probiotics! In terms of maintaining a healthy digestive tract & minimizing bloating, it is the best. Thank you for offering excellent quality superfoods at such reasonable prices! I also appreciate all of the detail and product knowledge that you're willing to share with your customers. Understanding the potential health benefits and the nutritional value of each product is very important to me. The staff at Herbal Products & Development do an excellent job of supplying their customers with extensive detail about each product and it's origin. I've been taking the Energy Enzyme Blend product for six weeks now and have experienced excellent results. I run everyday and my endurance and recovery periods have notably improved. During my workday I also experience a continued level of energy that stays more consistent, especially after lunch when I sometimes feel an energy low. I have been using this product in place of an afternoon coffee and it is far more effective at keeping me alert without the caffeine crash. The peppermint in this product leaves a cool refreshing taste in the mouth that is also very pleasant and refreshing. In addition, I find this enzyme blend to be very gentle on my stomach and effective at leveling my appetite. I look forward to continuing this product as well as many others offered by Herbal Products & Development. I have also found these products equally as important in my nutritional regimen: Klamath Blue-Green Algae, Chlorella, Supremely Green, MSM and Yoga Body. I enjoy the Vita Chocolate, Cacao Berry Clarity, and Hemp Coco Maca, as they are nutritious and have a great chocolate taste. I also like Supremely Green. Thanks for great products. I suffered pain from osteoarthritis in my foot. Within 2 weeks of taking Flex- Connect Plus and MSM, all the pain was gone. I have recommended Liver Restore to many of my clients and they all reported excellent results. I have also personally used the Blue-Green Algae and Maca in mixed powder form and really like the pricing and quality. I know I can always count on the superior quality of all the products at Herbal Products & Development. Regarding Chlorella,Spirulina, and Barley Grass – I like how they are described by Herbal Product & Development and have enjoyed using them for years. I have used Wrinkle Release to help fill out the area around my eyes. It plumps up my skin and makes it feel younger and more luscious. I love Wrinkle Release. I spoke with Herbal Products & Development on he phone concerning my health, specifically in relation to my using several of HP&D’s organic, natural supplements and original formulations. I’m pleased to report that my inflammation has subsided and my digestive issues are far less severe. Looking back on my health status from about a year ago, I was not doing so well, and HP&D’s products have really made a difference for me. My health conditions had progressed annually since my right lung had collapsed in 2000 from a cyst bursting on my lung wall. I had been admitted to the Dominican Hospital ICU and was within 20 minutes of death when Dr. Fishman saved my life. Unbeknownst to me, I had been living with pneumonia and had a 60% chance of dying from the pneumonia as an outcome of the pending lung surgery. I made a will in the ICU on morphine and rolled the surgery dice, but ended up living. By 2007, I had accrued 7-physical ailment diagnoses, been told that I was disabled, that my health conditions had stabilized and that continued doctor monitoring, lab tests and regimented prescription drug use were required. My Internal Medicine doctor stated that my health was ‘as good as it would get’ and that he would be overseeing my continued ‘health maintenance’!!! This was not what I wanted to hear...NO, NO, NO!!! Several months later, I had a ‘slip & fall’ accident that further impaired me with soft tissue back damage that still is a life changing condition I live with today. A couple months later, I picked up a bronchial virus and was taken from my doctor’s office in an ambulance and admitted to Dominican Hospital Critical Care with severe bronchial and pulmonary conditions that were synergistically life threatening. I’ve almost died 3 times in the hospital from sudden inflammation reactions constricting my airways. This was caused by my ‘embedded pneumonia’ becoming activated in combination with my blood oxygenation level dropping rapidly. It felt like my body was shutting down. Since that back to back (no pun intended) disability diagnosis, slip & fall accident and ‘life threatening’ hospitalization, I lost my health insurance, as I no longer could make the monthly payments that I had made personally for 24 years. From the slip & fall accident forward, I’ve had 2+ years of very poor health, being bed ridden most of that time, and only within the last year has my health taken an upward trend. Having no health insurance, I could no longer afford the 10+ prescription medicines I took daily and was forced to end my RX lifestyle. Thanks to Herbal Products & Development’s recommendations, over 8 months ago, on possibilities for augmenting and supporting my body’s ability to defend, repair, revitalize and invigorate itself, I can celebrate being 60 years young. Today, my health is much, much better. The Body is an incredible ‘Life Force’, and Herbal Products & Development helped me bring out its potential! I am happy to present the following testimonials for the two most impressive products that have been critical in assisting me in improving my health: Energy Enzyme Blend and Gluco Low Balance. I say ‘impressive & critical’, specific to their use on combating my #1 condition: INFLAMMATION. Inflammation of my bladder, pancreas, and my abdominal and digestive functions has lessened with the use of Energy Enzyme Blend. At times, my digestion is disrupted by extreme discomfort and my stomach area blows up like a balloon…so, I mix a little Energy Enzyme Blend in water, and TA-DA! Within 30 minutes, my digestive condition becomes comfortable and my stomach is noticeably deflated. 6+ years ago I was diagnosed with Type II Diabetes. High blood sugar levels and an overactive pancreas have contributed to much inflammation. Sometimes my pancreas even shuts down and has caused emergency hospitalization on more than one occasion. I have to keep my weight in check with strict diet habits and exercise religiously to keep my diabetes in check. Using Gluco Low Balance daily has helped my efforts greatly by reducing my inflammation, increasing my energy, and calming my appetite. Energy Enzyme Blend and Gluco Low Balance have notably, positively impacted my health. I’m certain the other HP&D products are contributing to my health as well. My two specific testimonials, for me, have given the most distinguished results, and for this I AM MOST THANKFUL. I've been purchasing high quality supplements from Herbal Products & Development for about 4 years. I am so happy to have found Herbal Products & Development and their many great products, because before, I was paying way too much for basically the same products, which made me question my former source for supplements. Herbal Products & Developments’s products and service are the best and some of my favorite products include Mesquite, Goji Berries, Colostrum, raw Cacao, Bee Pollen, and CoQ10, just to name a few!!! Herbal products & Development is my main source for most of my supplement needs and I really feel that they have my best interests in mind when it comes to my health and nutritional needs - both of which I take quite seriously!!! Keep up the good work, Herbal Products & Development!!! Sincerely in health -Gregg S.
Aloha, I have been enjoying Cacao Berry Clarity for over 10 years. The dark chocolate, raw Cacao Nibs, Krystal Salt, Goji Berries and Blue-Green Algae are blended perfectly together in a delicious treat. The taste has the perfect balance of mineral rich salt and just the right amount of sweetness from the dark chocolate and Goji Berries. Just one is so satisfying and filling, and keeps me going for hours. The Blue-Green Algae and Goji Berries sustain my blood sugar levels and help my mood as well. The company also makes a Hemp Coco Maca “treat” that has a chocolate, mild Coconut and Mesquite flavor, with Maca added. Maca is a wonderful hormone balancing, adaptogenic herb. The beauty of both of these products is that they taste wonderful and have minimal sugar content from the malted grains used. Herbal Products & Development has a wealth of information and is such a pleasure to order from. -Malama P. and Christine W., L.Ac. I cannot say enough positive things about both the quality of products and service ethic at Herbal Products & Development. Not only are the supplements and superfoods of a superior grade, but the prices are fair, and most of all, when you call and ask questions, the great staff is always there as a guide and support. Herbal Products & Development has a tremendous amount of knowledge and resources at their disposal. I am blessed to be working with them. Thanks to HP&D’s products and staff, my life has changed and has turned around in only the most beneficial of ways. Herbal Product’s & Development’s products are wonderful and have always been fully effective for me. I have especially used Gluco Low Balance and Vita Power, and gained better health, lower glucose numbers and greater energy, etc. Herbal Products & Development’s Vita Power is one of my main stays in supplementation. I find it provides many of the nutrients I need. I’ve been using it for many years and am quite satisfied with the product. Supreme Cream is the only cream I’ve used on my face for years. Estheticians tell me, “Whatever you are using, keep it up, because your skin looks great.” This is a great testimony since I am 68! Love this stuff! I appreciate your prompt service and bulk items. I put 3 different creams on in a local health food store. Supreme Cream remained moist the longest and also smelled wonderful. I also like the Land & Sea plant minerals. How cool is this! Herbal Products & Development is one helluva dedicated and insightful rarity into the "deeps" of global humanoid nutrition and healing. I, too, am beyond grateful to Herbal Products for sharing their loving expertise and inspiration through way-affordable treats for all neighbors. I always pack my Supremely Green when I travel to Disc Golf tournaments. It’s my secret weapon. I've done major herbal research and produced herbal medicines for more than twenty-five years. 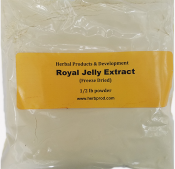 Herbal Products & Development is my primary resource for superior quality nutritional raw materials, and the prices are the best I've found anywhere. I especially appreciate the extensively researched and well-written profiles on each of the company’s products that greatly assist in my formulations and healing applications. My experience with Skin Restore has been an evolving one over the last 4 years. I feel it is a wonderful lotion with great ingredients that is so versatile that I can use it in many ways. First, of course, I use directly from the bottle as a great moisturizer. I also use it for evening make-up removal on a cotton round with a bit of water added. It takes everything off gently and never burns my eyes. I have created things with Skin Restore by adding for example: Shea Butter, Cocoa Butter, Bees Wax, Olive Oil or other pure oils. I can mix up a custom blend and add some essential oils for changes in fragrance, or more thick butters for added richness. It’s a lot of fun making these, and my family loves them all. I have even used simply, approximately 1/2 Olive Oil and 1/2 Skin Restore and it is great like that!Lately I have been using pure Glycerin half and half with water, some organic Olive Oil or Coconut Oil and the rest is Skin Restore. I like to add some Pink Grapefruit essential oil to give it more fragrance. It is just a bit richer this way and great for the cold winter months. I can make it to suit my needs at different times of the year. Even my husband likes to use Skin Restore as an aftershave emollient to soothe irritated skin. I even use it on my grandson after his bath with 1/2 olive oil added. It is such a great product and one I hope never to be without! Thank you Herbal Products & Development for making such a wonderful skin care lotion! swelling and inflammation, pain and unsteadiness when walking and flexing my knee. After taking 2-3 capsules of Flex-Connect 3 times daily for 4 days, the swelling, pain andinflammation was significantly less. I continued to take this product for the next 3 monthswith great benefits, and it became a major part of my rehabilitation process. Being a practicing nutritionist, I fully appreciate the potency of Flex-Connect, as wellas its unique blend of highly synergistic nutrients. I recommend it without hesitation. I have been using Herbal Products & Development’s products for many years, especially the Supremely Green powder, Supreme 7 oil, and the Power Plus enzymes. I have an endless surge of energy, I have never been sick, and I know my aging process has slowed. People tell me I look at least 10 yrs younger. My two college children also take the greens to stay healthy and have energy to study. I also have not gained weight, nor am I hungry due to my pH level being regulated throughout the day. I have never found a comparable product in the stores and I have many of my friends taking my advice. Thanks, Herbal Products & Development! 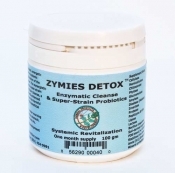 Here is the testimonial for my initial astounding experience with Zymies Detox. I was severely infected by a cat bite eight months ago, and have suffered inflammation at the thumb site called "de Quervain's tendonitis". Two weeks ago, I had an appointment with a hand surgeon in Los Gatos who advised me to do cortisone shots, and possible surgery. I just called his office to tell him the astounding news, that only two days after I began the Zymies Detox, I was noticing a reduction of the size of the inflamed area, and diminished pain. Now, only 12 days after I began taking the Zymies Detox, my wrist pain and inflammation have gone down at least 70%! I look forward to having 100% recovery in the near future. The doctor is extremely interested in learning more about this miraculous product and making it available for his patients. And I am extremely relieved! I will not have to do surgery with its risk of scar tissue and damage to the nerves. And I will never have to resort to the cortisone shots, which pose a high risk of bone death and thinning, osteoporosis, thinning of the skin, nerve damage, tendon weakening or rupture, and joint infection. Zymies Detox allowed me to not only escape possible surgery and cortisone shots, but it feeds me enzymes for total body health and continual daily detox. I also am experiencing more stamina, energy and mental alertness. I know that all the cells of my body will continue to receive the benefits that, in time, will bring my entire body to its healthiest state. No wonder it is called "Systemic Revitalization". I feel revitalized and it is just the beginning! Energy Enzyme Blend has been a wonderful adjunct to my daily supplement regimen. I love that it is a gentle daily cleanse, unlike so many types of intestinal cleansers, which over time sustain slight irritation in the gut (such as my experience with products containing Cascara Sagrada or even other herbal combinations that increase bowel movements, and even Magnesium Citrates). Symptomatically, I have noticed a reduction of the bloating in my large intestines, more "chi", stamina in my overall energy and more complete daily bowel movements. As a nutritional consultant in Santa Cruz, I like to initiate my clients on the most gentle plan for colon cleanse and renewal, where the shifts they experience with the cleanse are minimal, yet effective, and will not throw them into a detox that is more aggressive than their weakened detox organs can handle at that time. The feedback from my clients has been positive in these regards: they are able to begin with a small dose and increase over time, with no problem at all with difficult detox reactions. This is the type of product that I feel they can be on indefinitely, as we all can benefit from a daily cleanse. Energy Enzyme Blend is definitely the product of choice for me and for my clients! I use Energy Enzyme Blend for digestion and it really helps with nausea from greasy (fatty) foods, etc. Very soothing. Recently, I tried the powder as a tooth powder and it's amazing! It cleans my teeth like a professional cleaning. My teeth are so white (all tea stains are gone) and my teeth are silky smooth. I no longer have any tooth sensitivities. Also, it's the only thing I can use to brush my teeth that I'm not allergic to. Thank you, thank you! I am a registered nurse and have used the products of Herbal Products & Development for many years with wonderful results. I have found that the products are of the highest quality. My husband has chronic lower back pain and the Flex-Connect and MSM used together always manage the pain exacerbation very well, making the use of Ibuprofen and other pain medications unnecessary. I have been using the Power Plus enzymes for many years and they really help with digestion, especially with heavy meals. They are also useful if you have an unhappy stomach a few hours after overeating, or eating rich foods. I take one or two and feel the food start to break down and digest. This is a great product. Since I have discovered the Cocoa Berry Clarity chocolates, I have only eaten them. These chocolates cannot be beat and are good for you! On a regular monthly basis I order 300 Cocoa Berry Clarity and Hemp Coco Maca chocolates for my store. So, we definitely have customers who enjoy them! I received a wonderful facial cream, Supreme Cream, from Herbal Products & Development. I have been pleasantly surprised at the amazing results. It softens and smoothes the skin and seems to plump up the tissues, so you look and feel younger. A fountain of youth in a jar! I apply at night, and in the morning my skin looks hydrated and younger. Thanks, Herbal Products & Development! Liver Restore is my favorite liver formula I’ve tried. Now I can drink half a glass of organic sulfite free wine with a dose of Liver Restore and feel fine the next day. I am a regular buyer of the Supreme 7 Oil. I have been using Herbal Products & Development’s products for several years. I have really benefited from Friendly Colonizer, Supreme Cream, Wrinkle Release, bulk foods, Supremely Green, Vita Power, and Macro Night. I also like the chocolates, especially the Vita Chocolate, which contains the Vita Power formula in the chocolate. As a mechanic, I’ve worked on my knees almost every day for the past 25 years. Needless to say, the damage to my joints is significant and I was in a great deal of pain. After just a few months of taking Flex-Connect with MSN, I feel like a new man! The combo is great and I highly recommend them to anyone with joint pain. I am writing this to thank Herbal Products & Development for supplying me with SBO (Soil-Based Organisms) probitiocs. I have had a long history of debilitating digestive issues inducing chronic constipation and have tried dozens of different probiotics. Nothing even comes to close to Paul's SBOs. I don't know what I would do without them. Thanks again! I have been taking quality nutritional products for over 20 years, and have seen them all. Vita Power, from Herbal Products & Development has got to be one of the most comprehensive, powerful, effective, and all-encompassing nutritional formulations ever created. It has an extremely evolved selection of nutrients and co-factors, which work together to maintain a high level of health, vitality and wellness. Vita Power also protects us on a cellular level from an array of environmental stresses. This is a brilliantly designed and potent formulation that is a perfect all around product for virtually everyone who wants to experience his or her very best. Highly recommended! Macro Night is surely one of the most advanced, sophisticated and deeply nourishing Calcium/Magnesium formulations in existence. The variety of nutrients work together to create a profound sense of calm and nurturing for the system, and is a perfect way to end the day, unwind, and support our deepest reserves. This delicious, fast acting, easily absorbed formulation, taken in the evening, is truly a perfect compliment to Vita Power, and a foundational product for rejuvenation, relaxation and true wellness. I like the Power Plus enzymes. I use them daily. I simply love Energy Enzyme Blend! I started using it this spring and felt its cleansing properties with the first use. It increased my vitality, perked up my brain, and it tastes invigoratingly wonderful! Good to use whenever you need a lift. Both of us (in our 90’s) are diabetic and have been using Gluco Low Balance for over a year now. Our monthly blood sugar tests (AIC tests performed by our doctor) used to fluctuate. Now our tests are consistently in a healthy range. Bella Dulce is already one of my favorites of all time!!! As a discriminating ex-chocoholic, these anti-oxidant loaded Hemp Coco Maca chocolates offer a delicious, nutritious, and compelling alternative – without the sugar! I took Liver Restore, which dropped my numbers from 3.5 million to 350,000. I felt markedly improved stress and energy levels, and experienced a consistently better mood. I’ve known the people at Herbal Products & Development for 8 years. The quality and integrity of this company is exceptionally strong. Their staff cares about people, the environment, and the future of our world. I highly recommend their products and services. They are brought forth and made with care and concern for well being and health of the body and care of the Earth. Herbal Products & Development talks the talk and walks the walk. I have been in the habit of taking Spirulina in the morning for the last several years. It's usually the first thing I eat, along with a grapefruit, about an hour or so after rising. I take a heaping teaspoon of Spirulina, to which I add the following: about 1/2 lemon, a teaspoon of olive oil or flax seed oil, and a dash of Bragg's Liquid Aminos. I've come to like the taste of this concoction, and prefer taking Spirulina this way,rather than in liquid drinks or smoothies. I find that it takes the edge off of hunger and is energizing. I also like to put Spirulina on salads made with lettuce or Kale. Spirulina is also a good source of protein, making it well suited to my vegetarian diet. I have been suffering from the pains of Diverticulitis for most of my life. The later years have been especially hard. I discovered the benefits of Serrapeptase over a year ago, and have not had a flare-up requiring antibiotics since. Power Plus enzymes are great! I used to experience fullness, bloatedness, and a look of being overweight. The enzymes solved this. At times I’d take three of them at bedtime, and it would look as if I’d lost 15 pounds the next morning. Herbal Products & Development’s health chocolates give me the energy to get me through the last 2 hours of my work day! The Energy Enzyme blend is phenomenal for digestion and settling an upset stomach. The chocolates always boost my day. As a UPS driver, I need all the help I can get , and really recommend these chocolates! 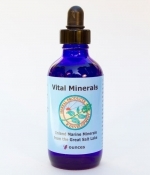 Liver Restore is one of our best sellers! Some of my favorites are pelletized and granulated Krystal Salt. There are many ways to use these. The Hemp Coco Maca and Cacao Berry Clarity chocolates do well here, too, as we have a steady stream of regular customers buying them. I love the Vita Chocolate. It is very healthy with many herbs and vitamins, and it tastes great. My friends love it too! These are the only vitamins and minerals that we sell now. Vita Power has got to be one of the most potent, relevant and evolved formulas ever. I love it! Also, the Friendly Colonizer – wow. My body just relaxes and I experience a deep sigh of relief when I take it. No joke! Same with the Macro Night. Love it. Thanks. These products are making a huge difference in my health and well being. I can no think you enough for being such a nutritional wizard! If I don’t use Supremely Green for a few days I can definitely tell a difference in my overall alertness and vitality; seems to be the best overall source for essential micronutrients I can locate. I’m speaking as someone who has run wheatgrass businesses 3 times in 3 states, a life-long advocate of raw food diet incorporation, etc. I would like to thank Herbal Products & Development for all the years of service that they have provided. I find their products to be far superior than others I have tried. For example, Herbal Products’ Barley Grass is super rich and delicious. The Maca, Tocotrinols, Bee Pollen, Colostrum, etc., are also of the highest quality. I really like using these products. Thanks! I highly recommend Herbal Products & Development’s products!! They have fair pricing, quality ingredients, friendly service, and are responsive to individual needs. I’ve been taking Barley Grass juice extract for a number of years now. It has proved to be very soothing to my digestive tract as I am dealing with I.B.S. Orange Oil works great for paint prep! I take Liver Restore every day. Supremely Green has helped with my arthritis. I have less stiffness in my joints. I am letting my friends know! I have been recommending Supremely Green to my patients for over 10 years. When they ask me what vitamins and minerals to take, I say just take Supremely Green – it has everything! Nutrients, enzymes, herbs, and antioxidants – your one stop shop for staying healthy! The Bee Propolis is one heck of a product! It helps me with any cold or cough. I like Liver Restore, Flex Connect, and Skin Pro, and my doctor is impressed with them as well! I just had my neighborhood store order me a case of your chocolates. I'm so excited! Since I've quit eating most sugars and more fruits and veggies, I feel a lot better. But I was missing chocolate in my life. It's such a pick-me-up. I was stoked to find your product. We want to tell you that your online resources are great! I’ve found that if I don’t use Supremely Green on a daily basis, my energy level really drops. I really like the Hemp Oil. I use it on popcorn, my skin, foods, everything! It’s really fresh! I want to thank you for the outstanding blend of minerals in Macro Night. I’ve been impressed with what it has done for my physical strength – my bones feel great – even my fingernails have improved so much that they look like acrylics! A friend of ours in Israel wrote to us that he was lined up for a double hip replacement due to the excruciating pain he was experiencing from just slow walking. I immediately sent him which he has been diligently taking for several months (highly motivated, I’m sure!). He has reported that most of the time he feels he could go out and run a 100 meter sprint!!! That is truly awesome! We are truly grateful that there was such a complete mineral product we could send him. Thank you so much. Cacao Berry Clarity is my favorite. I’m telling everyone! I’m loving the Supremely Green. Friendly Colonizer is the best probiotic I’ve taken – gets to colon. Macro Night is amazing! I read the ingredients – several sources of calcium and magnesium. Macro Night is super! I no longer need my leg cramp pills, digestion is improved, and sleep comes easier. Thanks! I feel a tremendous grounding from the Body Electric, enhanced with Bee Propolis. I can feel it all through my body. Skin Pro is an awesome aftershave. It feels great.-Yogesh T.
This Bee Propolis is amazing – the best I have used. I love the Golden Lite and Vita Chocolates! Zymies Detox helped clear my daughter’s long standing lung congestion very quickly. I have been using Macro Night for over 3 years and have found it most useful in healing my broken wrist and broken tailbone. I recently took a bad fall and found Macro Night to accelerate my recovery. Thank you! Thanks for amazing herbal products and supporting our community in a healthy way! Having tried many probiotics, I can say that Friendly Colonizer is “off the charts”. It has the right ingredients and the right balance thereof. I enjoy using it. Energy Enzyme Blend detoxifies, cleanes, and relaxes my GI tract, while also preparing it for probiotics. Energy Enzyme Blend - it fixed me right up! I noticed results after the first two weeks. I felt 3/4 improved by then. It's all food grade, healthy stuff. I had great results. Boise Coop has been selling Energy Enzyme Blend very steadily since bringing it into our store. We are ordering the powder form by the case now. I can tell the difference after using Berry Berry Good. If I feel stressed, before I leave, I just place a teaspoon in water (pt) and bring it in the car, down it at once and can immediately feel the protection.and immune enhancement. A winner I keep coming back to. Since I've been using Macro Night,Sea Plant Mix, and Energy Enzyme Blend, I have less muscle cramps, more energy, and I've been sleeping better. I feel the difference since I've been using Liver Restore. It is working well. I feel so much energy taking Spirulina, Barley grass, Wheat grass, and Alfalfa grass juice with Bee Pollen. My liver has improved. I give the Nutrient Chocolates to my dance class. Everyone loves them. Liver Restore is one of my favorite products. I recommend it. I've been using Flex-Connect and MSM-C combo products to help my shoulder and I noticed a definite improvement.